In short, an Office Add-in extend Office applications and interact with content in Office. Office Add-ins, use familiar web technologies extend and interact with Word, Excel, PowerPoint, OneNote, Project, and Outlook. An Office Add-in can run in Office across multiple platforms, including Office for Windows, Office Online, Office for the Mac, and Office for IOS and Android. Add new functionality to Office clients - Bring external data into Office, automate Office documents, expose third-party functionality in Office clients, and more. For example, use Microsoft Graph API to connect to data in Office 365 service like, Planner, SharePoint, Group, Exchange, etc. How are Office Add-ins different than COM and VSTO add-ins? COM or VSTO add-ins are earlier Office integration solutions that run only on Office for Windows. The add-in, that made your Outlook crash and required a lot of maintenance. You had to install these add-ins on each client and you had to update each client. A local installation with a potential security risks. Unlike COM add-ins, Office Add-ins don't involve code that runs on the user's device or in the Office client. Single sign on (SSO). Office Add-ins integrate easily with users' Office 365 accounts. Easy access via the Office Store. Based on standard web technology. You are not bound to a specific version of foe example, Outlook or Excel because the COM add-in only support a specific version. With true Office Add-ins you simply follow the upgrades of Office and always be on the latest version and your Office Add-in will still work. An Office Add-in includes two basic components: an XML manifest file, and the web application. The manifest defines various settings, including how the add-in integrates with Office clients. The web application needs to be hosted on a web server, or web hosting service, such as Microsoft Azure. This will often be on the Add-in Providers Azure. Privacy and security for Office Add-ins. Read a user’s document to provide contextual services. Read and write data to and from a user's document to provide value to that user. For example, Office Add-in can bring data into Outlook, Office, automate Office documents, expose third-party functionality in Office clients, and more. For that purpose, Microsoft provide us with the Microsoft Graph API to connect to data in Office 365 service like, Planner, SharePoint, Group, Exchange, etc. Microsoft Graph is a RESTful web API that enables you to access Microsoft Cloud service resources. After you register the Office Add-in and get authentication tokens for a user or service, you can make requests to the Microsoft Graph API. To call Microsoft Graph, the Add-in must acquire an access token from Azure Active Directory (Azure AD), Microsoft's cloud identity service. The access token contains information (or claims) about the Office Add-in and the permissions it has for the resources and APIs available through Microsoft Graph. To get an access token, the Add-in must be able to authenticate with Azure AD and be authorized by either a user or an administrator for access to the Microsoft Graph resources it needs. Delegated permissions are used by apps that run with a user present. The user's privileges are delegated to the Add-in which makes calls on behalf of the user to Microsoft Graph. Many of these permissions can be consented to by a user, and some others require administrator consent. Application permissions are used by apps that run without a user. These often grant an app broad privileges within an organization and always require the consent of an administrator. Effective permissions are the permissions the Add-in will have when making requests to Microsoft Graph. For delegated permissions, the effective permissions of the Add-in will be the least privileged intersection of the delegated permissions the Add-in has been granted (via consent) and the privileges of the currently signed-in user. The Add-in can never have more privileges than the signed-in user. Administrator type users say “okay”. This means, users in the “Global admin” group can give an “ok” to the Add-in. And the “ok” is granted on behalf of all users in the Azure AD. End users therefore do not have to grant access, the access is granted on their behalf by the admin. Think of this as “let my organization use the Add-in with the required permission level necessary for the Add-in to provide the functionality you want”. When an Office 365 Global administrator give consent to an Add-in, the administrator make sure only users from your Office 365 can get access to use the Add-in on your tenant and have permission to request data from the required services. The explained authentication and consent flow makes sure all other external will not get access. They haven’t been approved and don’t have a valid token nor consent or permission. The same goes for the Add-in provider, they don’t have access. Let’s take an example of an Add-in provided by iGlobe – iPlanner Pro. This is an Outlook Add-in that extend Microsoft Planner into the users Outlook client and give the user the ability to manage and create Planner tasks directly from Outlook. iPlanner Pro is a web application which contains all the code and logic on iGlobe’s Azure. iPlanner Pro is following the above described authentication and consent flow 100%. It should be obvious that this will require a set of permission. Without having the required permissions, you will not get this functionality the Add-in is providing. This means when a Global Administrator authenticate and give permission to iPlanner Pro you can think of this as “let my organization use the iPlanner Pro with the required permission level necessary for the iPlanner Pro to provide the functionality the users expect of the Add-in”. Remember, it is the Add-in that interact with the required Office 365 services! It is not and access you give to people outside your organization or to the Add-in provider. When updating a manifest, the typical changes are to an add-in's icon and text. Occasionally, add-in commands change. However, the permissions of the add-in do not change. The web application where all the code and logic for the add-in runs can change at any time, which is the nature of web applications. If an add-in is updated in the Office Store it will update the dd-in next time the relevant Office applications start. The web application can change at any time and are “pushed” out by the Add-in provider. This means you do not have any updates on the local client. This depends very much of the Add-in and the Add-in provider. However, most Office Add-in do not save any data locally on any device. As you recall Office Add-ins works across devices, all it requires is that the user is logged in to the Office 365 account. If data was saved locally you will not be able to use the add-in on different devices. This means no data is saved locally. The Add-in provider can choose to save data on their web application or not. The described Add-in model do make it possible for the Add-in provider (ISV) to offer an Office Add-in that will not save any of your data. You will have to ask the Add-in provider about what data they save if any at all. You will however see that most Add-in providers only save necessary information for the Add-in license management. Can the Add-in Provider access your data? If no data is saved in the Add-in web application, this is a big NO! The authentication and consent model make sure of that. This means, that by following the Add-in security model and by not saving any of your data the Add-in itself is GDPR ready. As an Office 365 admin, you can deploy Office add-ins for the users in your organization. You can do this using the Centralized Deployment feature in the Office 365 admin center. Centralized Deployment is the recommended and most feature-rich way for most admins to deploy add-ins to users and groups within your organization. For more information on how to determine if your organization can support Centralized Deployment, see Determine if Centralized Deployment of add-ins works for your Office 365 organization. An admin can assign an add-in directly to a user, to multiple users via a group, or to everyone in the tenant. When the relevant Office application starts, the add-in automatically downloads for the user. If the add-in supports add-in commands, the add-in automatically appears in the Ribbon within the Office application. ﻿Add-ins will no longer appear for users if the admin turns off or deletes the add-in, or if the user is removed from Azure Active Directory or from a group that the add-in is assigned to. iPlanner Pro is a true Office add-in designed using the Microsoft Office 365 Security model. As all Office Add-ins it contains of a manifest file that defines various settings, including how the add-in integrates with Office clients and to enable IOS and Android availability. The web application and service are hosted iGlobe’s Microsoft Azure. iPlanner Pro is using the Authentication model and make sure the user has a valid token. Using the Microsoft Graph API iPlanner Pro is interacting with several services on Office 365. When you as an Office 365 Global Administrator Authenticate and give consent you will get the following request for allowing permission for Microsoft Graph API. Office 365 splits plan data across a number of repositories. The plan metadata is held in an (your) Azure-based service while the comments for tasks within a plan are stored in the Exchange Online mailbox for the Office 365 Group associated with the plan. 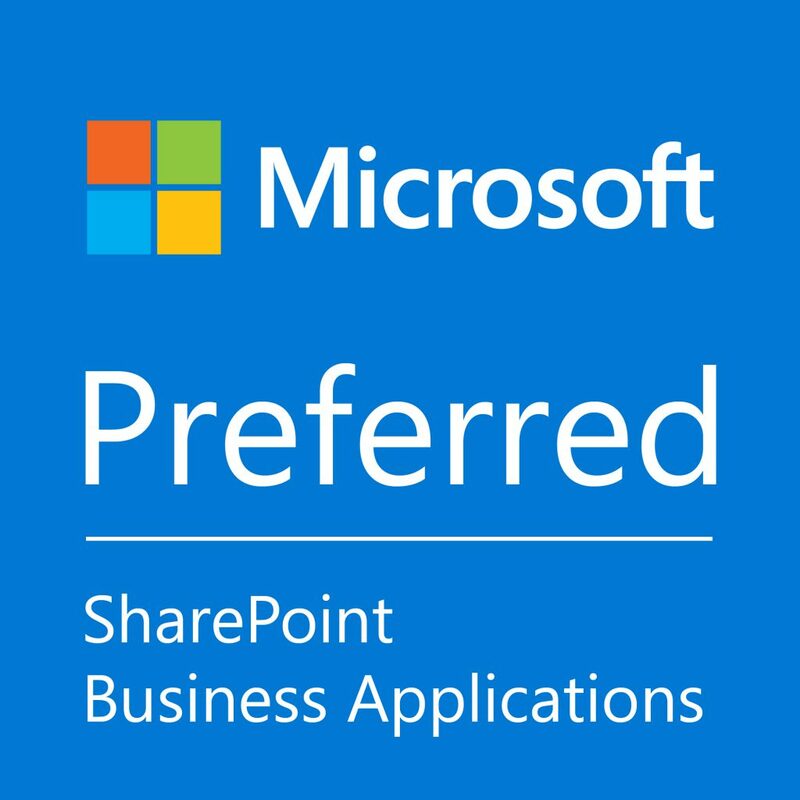 Documents and other attachments are held in the SharePoint Online document library belonging to the same Office 365 Group. This means all data are in your Office 365 environment. iGlobe (we) host the service. This service is used by all iPlanner Pro customer across the world. But data is on your Office 365. As stated in our EULA we only save information for our license management- Name and e-mail. From the iPlanner User management you can see exactly the same as we can see. This is also, where you have full access to remove and add users.